You've likely heard the rumors or read the salacious tabloid headlines, but how well do really know the Culkin family? How about Macaulay Culkin? He is not the child star gone bad as some in the media would paint him. He is not, nor was he ever, in his own words, "pounding six grand of heroin every month." Oh, and he's not an 11-year-old boy anymore either. 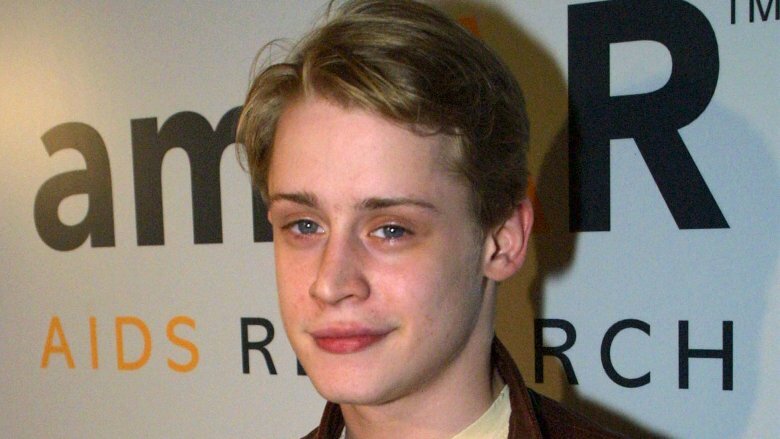 Macaulay is one of seven children born to Patricia Brentrup and Kit Culkin, parents turned acting managers. 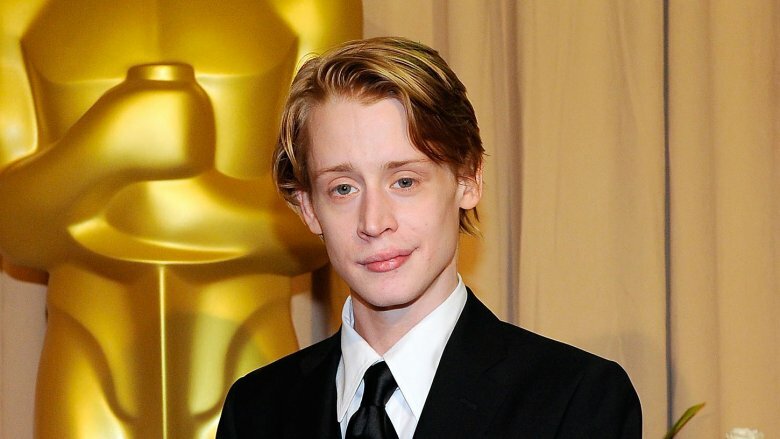 Largely because of Macaulay's success, the Culkin name grew to be one of the most famous in Hollywood. Yet, while many of us feel like we grew up with Macaulay and his family, few know anything about him. What was life like behind the scenes? What were his parents like? What happened with Macaulay's career? You've seen the lies, so now it's time for the untold truth of the Culkin family. After the success of Home Alone, Macaulay Culkin become one of Hollywood's most in-demand stars, as well as one of the most prosperous. But it wasn't all smooth sailing financially for the Culkin family, and the ugly custody battle and struggle for control over a large sum of money wasn't their only financial struggle. Before Hollywood found Macaulay, the Culkin family was in a rather tough spot. Their living situation was crammed, to put it mildly. "It was just a hallway, and there were no separating doors, except for the bathroom, which didn't have a lock," Kieran Culkin told Vanity Fair of his childhood said home. "They raised seven kids in that apartment — for years! They just kept bringing babies home to this little space." Macaulay similarly described the "one-bedroom apartment" on Marc Maron's WTF Podcast. "They stacked us on top of each other." Billy Hopkins, a theater director who cast Culkin in his first production, saw the family's plight first hand. "They were so poor I had to use my own money to make sure that he got to and from rehearsal," he told New York Magazine . "Macaulay would crawl under the bleachers at the theater to look for change that had fallen out of people's pockets. They were like the Beverly Hillbillies." Many remember that Kit Culkin, the father of the Culkin clan, was his children's manager, but he was a child actor himself. "He had been kicked around a little bit," Macaulay told Marc Maron on the WTF Podcast. "He did some stuff when he was a kid … He pretty much never made it beyond chorus." According to Macaulay, his father had an unfortunate experience on stage that may have scarred him permanently or left him slightly jaded. "Doing King Lear off off off Broadway," he explained. "He is so into his part, he closes his eyes. And so he's doing a soliloquy, and he's getting closer and closer to the edge of the stage. He doesn't notice because he's so into the part because he's blind. And then he spills into the first row and hurts himself. This is opening night." That was the last time he ever acted. It's this lack of success, in the mind of Macaulay, that made Kit resent his own son's success. "He was relatively jealous," Culkin said. "Everything that he tried to do in his life, like, I excelled at before I was 10-years old." For many stars, the spotlight is something you don't take lightly. For the Culkins, it's something to be avoided altogether. You wouldn't blame them for feeling this way. They grew up stalked by strangers. "I think well-adjusted, smart people that experience it first- or second-hand would not pursue it," Kieran Culkin said to Vanity Fair. "I'll totally take personal happiness over success, absolutely. If I'm miserable, then what's the f**king point?" 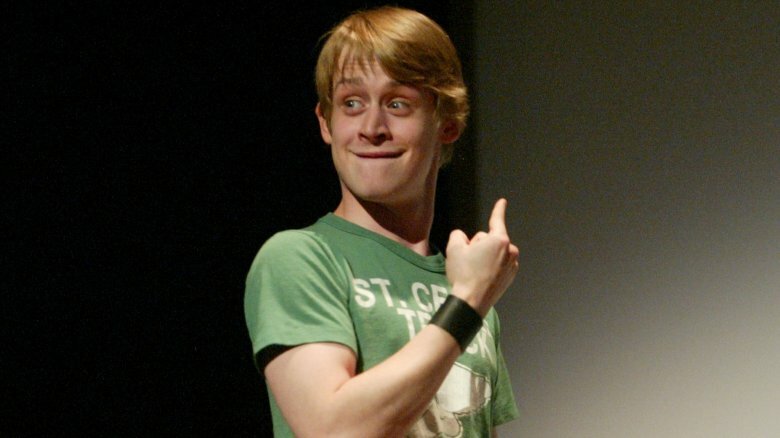 As Macaulay's younger brother, Kieran remembers being surrounded by fans in public. One daring fan ripped the hat off of his brother's head to get a better look at his face. "Yeah, it's him," she said to her companions. And then, "You're not that cute," to the young actor. This is no ordinary reaction, but ordinary was not for the Culkins. Mila Kunis, star actress and wife to Ashton Kutcher, understands fame. But even she still can't understand what happens to people when they see Macaulay. While on The Howard Stern Show, Kunis spoke of the eight years she spent dating Macaulay. "You couldn't walk down the street with him," she said. "He always had this weird attraction. Fans just screamed when they saw him. They didn't know how to react. It wasn't like a normal response to a celebrity." 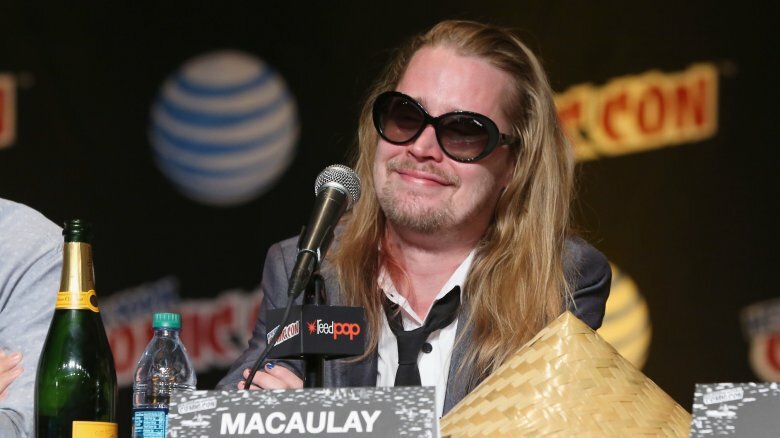 After his parents split and Macaulay quit acting, he and his father went their separate ways. 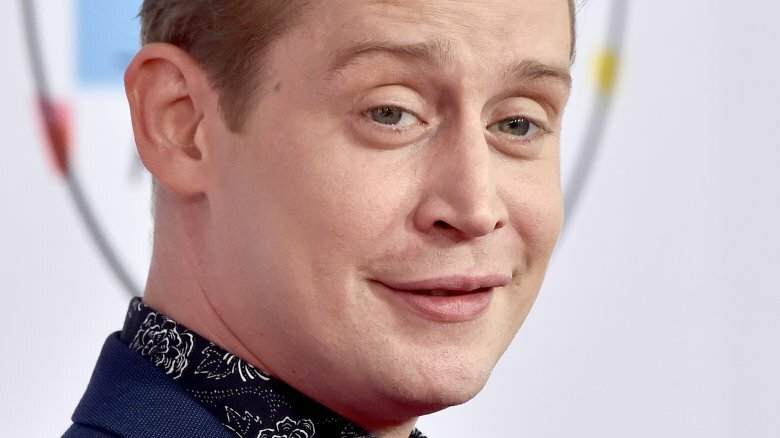 Macaulay said on WTF Podcast with Marc Maron that he went "about a quarter of a century" without speaking to the man. Yet, Kit appears to have always been a little absent. "My concept of a father, almost, is one of those things you get from like TV shows and movies," Macaulay continued. 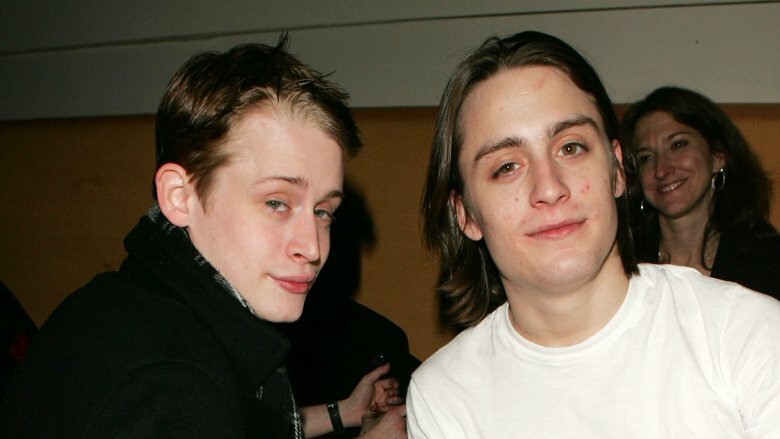 "He's not a good dude, but he wasn't really a big part of my life after the age of 15," Kieran Culkin explained to Vanity Fair. "Sometime in the 90s, he went away and disappeared for two, three weeks, and the babysitter remarked to my mom, 'You know what's funny is their father's been gone for three weeks, and not one of them has said, Hey, where's Dad?' Nobody cared, actually. My mom was the parent, so when he wasn't there it was nicer and better." Speaking with the Daily Mail, Kit, who now lives in Oregon, has come to terms with the fact that he may never see or speak with Macaulay (or his other children) again. In fact, it may be that he means not to. "I don't consider him a son anymore," he told the news outlet. One of the uglier allegations to come from within the Culkin family is the talk of abuse. According to the few vocal members of the family, Kit Culkin was both physically and mentally abusive on a number of occasions. When Kit and Patricia Brentrup's custody battle went public, fans heard, for maybe the probably first time, stories of Kit's alleged dark side. In what Patricia called Kit's "reign of terror," she accused her former partner of extreme violence. "He punched me in the head and about the body, causing me substantial injury, and dragged me out to the balcony, threatening to push me over the railing," she alleged in court documents (via The Telegraph). "Several of the children witnessed this incident. I suffered two black eyes and substantial bruising." Macaulay also remembers it. "He was abusive, physically and mentally," he said on WTF Podcast with Marc Maron. "I could show you all my scars." The alleged mental abuse that Macaulay suffered turned him and his father into a Hollywood cautionary tale. Speaking to Barbara Walters, Macaulay described his father as a man who excelled at breaking spirits. "We didn't even have our own bedroom … I was sleeping on the couch," he said. "He wanted me to know and my brother to know that he was in charge and that if he didn't want us to sleep on a bed, we weren't going to sleep on a bed." You know Macaulay and Kieran (pictured above) and Rory, the youngest, but do you recall, the least famous Culkins of all? Outside of the big three, there are four other Culkin siblings that you may not have ever heard about. The oldest in the family, Shane, was said to be Kit's first pet project. Though he didn't find the same level of success that some of his younger brothers did, Shane is remembered by some for his acting pursuits. As Macaulay recalled on WTF Podcast with Marc Maron, his older brother famously puked on stage during a live production of Our Town. The second oldest sibling, Dakota, died tragically in 2008 after being struck by a car while crossing the road. According to People, Dakota worked as an art production assistant. She was also the only Culkin child to never act. 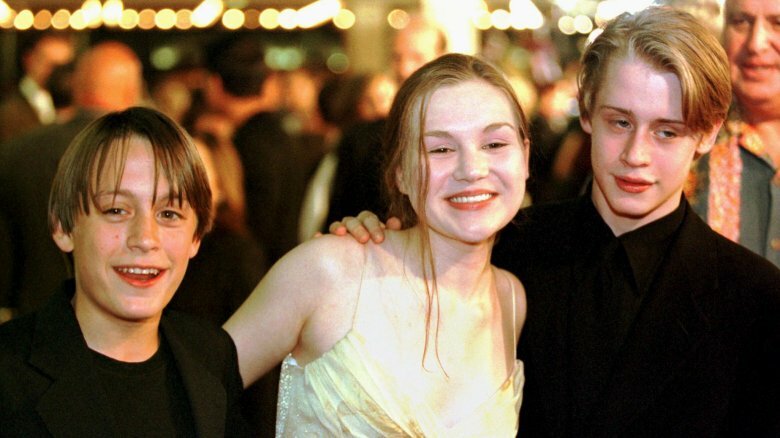 Quinn, the sister that came after Macaulay and Kieran, acted alongside Macaulay, in The Good Son, but left the industry after that. The next in line, Christian, acted in It Runs in the Family with Kieran, but then he walked away as well. Emily Gerson Saines, the Culkin family agent, said that everyone lived in Macaulay's shadow, a feeling that Quinn knows well. "I've even been called 'MacCulkin,' like I'm a collection of Culkins," she told Vanity Fair. "As much as we may look alike, we're all very different." In 1998, news broke of the Culkin family fire, a superheated blaze that ripped through the apartment building that Patricia Brentrup lived in with her children, killing four people and injuring many others. After it was revealed that the fire originated in Brentrup's apartment "when paper placed near a space heater ignited" (per the New York Daily News), she was hit with a massive lawsuit of $80 million. The attorney for the negligence suit argued, "Had [Brentrup] closed her apartment door, the fire could have been contained to that area." Brentrup wasn't the only person sued. The New York Times reported that "an insurance company sued [Macaulay and others] for more than $113,000 that it paid to tenants" for claims they made related to the fire. The suit was eventually dismissed. This was particularly interesting considering he didn't even live in the apartment and wasn't present at the time of the fire. "Two family friends basically broke down our front door and told us," Macaulay told New York Magazine. "I ran to the television and boom, there it was: the Culkin fire. Of course, the picture they had was of a Christmas tree on fire, but it had nothing to do with a Christmas tree." He went on to add, "They made it seem like I was running around the house naked spitting vodka on the walls and throwing matches everywhere," he said. "I wasn't even there." When parents decide to split up, custody battles often follow. But things were a little different in the Culkin household. The public custody battle following the split of Kit Culkin and Patricia Brentrup wasn't just for primary custody or visitation rights; the parents were fighting for managerial control of their children's acting careers. According to the Los Angeles Times, the Culkin parents "split a 15% commission on their son's earnings." While Macaulay had been the major earner up to that point, the other children represented potential and both parents appeared very eager to maintain control of that 15% piece of the pie. For onlookers, the money matters at the center of the case cast both parents in a very unappealing light. "The custody battle seems to be two parents fighting over a young guy's earnings," said Home Alone director Chris Columbus. "If I were a kid, I'd want my parents to be fighting for custody of me because they love me — not for my money. It's a little bit depressing." In the end, Brentrup was granted sole custody of her children, but the judge suggested the mother work harder to instill "discipline and good study habits" in her children. They say Hollywood is a small town, and a person's reputation can easily proceed them. For Kit Culkin, a man with first-hand knowledge of the cruelty in show business and how fleeting fame could be, his reputation was that of a terror. It seems that Kit knew what he had in Macaulay. He used his son's allure to earn more money and gain more power. However, according to The Guardian, after his son completed filming My Girl, Kit banned Macaulay from promoting the film. He even publicly slammed My Girl for reasons unknown. Around that same time, the script for The Good Son was circulating and Fox picked it up. Apparently, Kit wanted the role for Macaulay, and the studio agreed. When it was learned that production would have to be delayed for nine months to accommodate Macaulay's Home Alone 2 schedule, however, the director, Michael Lehmann, suggested that young actor might not be the best fit. According to People, Kit threatened Fox that he would pull his son from the Home Alone sequel if they didn't get The Good Son. While the studio agreed to wait, the film's budget nearly tripled in size, and "the original director, producer and writer had either quit or been fired," but Kit got his way. 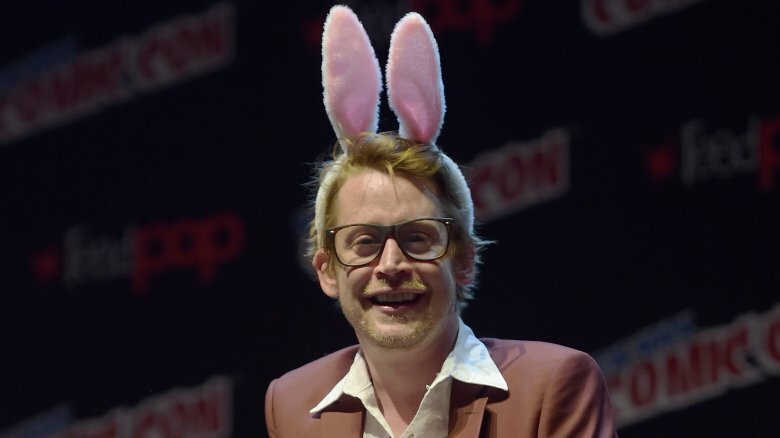 After building a reputation as a demanding Hollywood presence, Kit Culkin appeared capable of pulling all the strings on Macaulay's films. Joe Roth, then-head of 20th Century Fox, told The New York Times of Kit's son, "There are no 11-year-old kids that sell tickets like Macaulay. To get the kid in a lead part, that's a great asset." Yet, when Macaulay got the lead in The Nutcracker, Kit seemed to have finally met his match. The producer of the film, Arnon Milchan, was not willing to be pushed around by the Culkin father. According to People, the demands started out small. "[Kit] doesn't like the noise of the Christmas tree growing," Milchan remembered hearing from the family's agent. Soon, however, Kit requested wholesale changes from the producers and film crew. "He called me and sent a letter saying we can't use the narration or we can't use Macaulay's name," Milchan told The New York Times. This was the straw that broke the camel's back. "Enough!" Milchan told Kit. "I can take so much harassment, so much extortion, so much blackmail. Enough!" He had called Kit's bluff, and it worked. Kit withdrew some of his demands. The film's producers then decided to "not even respond" to the remaining demands. 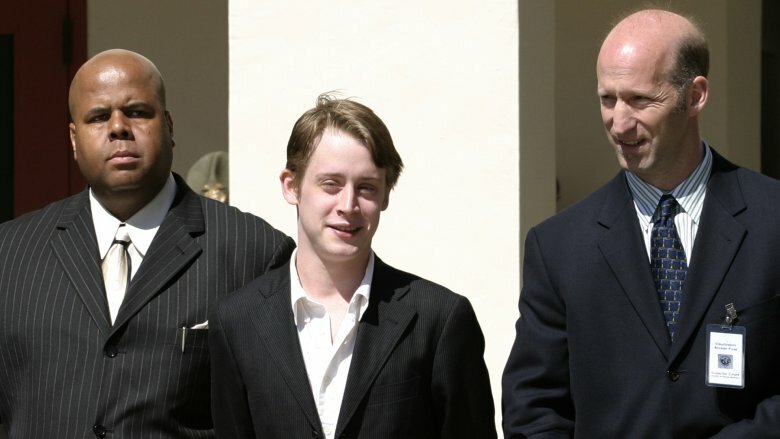 In 2005, with Michael Jackson accused of inappropriate conduct with children, Macaulay Culkin was called to the stand during the trial. 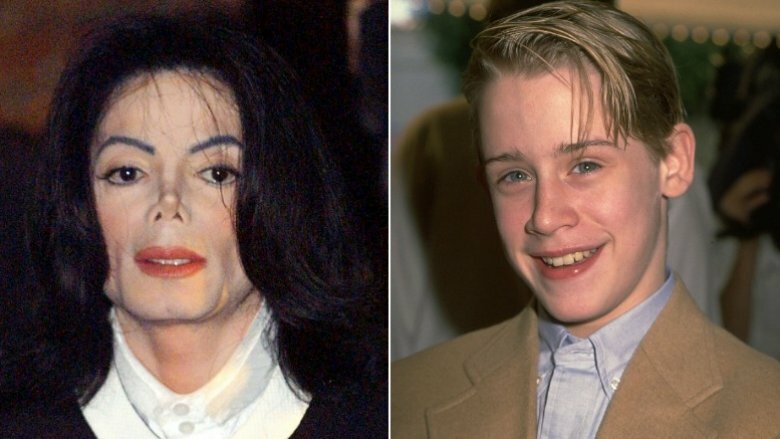 As a friend and frequent visitor of Jackson's home, the Neverland Ranch, Culkin testified that, while he slept over often, the former King of Pop never mistreated him. Meanwhile, there were others who testified to the contrary. A former maid on the ranch, testified (via The Telegraph) that Jackson inappropriately touched and kissed Culkin. Similarly, one of Jackson's former chefs claimed that he witnessed Jackson put his hands in the boy's shorts. Of these accusations, Culkin said they were "absolutely ridiculous." He added, "I could not believe it. … It was amazing to me that nobody approached me to ask if these allegations were true." During the trial, the validity of those claims involving Culkin were cast into doubt when it was revealed that the tabloids were offering a big payout if the stories were made "more graphic," according to CNN. As for the unlikely friendship between Jackson and the Culkins, it was rooted in isolation via fame. "He understood, because he grew up in a similar way," Macaulay told Vanity Fair. "He saw certain aspects of himself in me and our family, and he wanted a safe time and a safe place to be himself." Many actors choose a life a fame, but some of the Culkin children never had that luxury. For Macaulay and Kieran specifically, they were born into the industry. And for them, this was a full-time job over which they had no control. "I've done 14 films and never looked at one script," Macaulay told The Guardian in 2000. "I was just a machine. My father would go over what I was doing next day, I'd go on the set, do it, come home, go over what we were going to do the next morning." 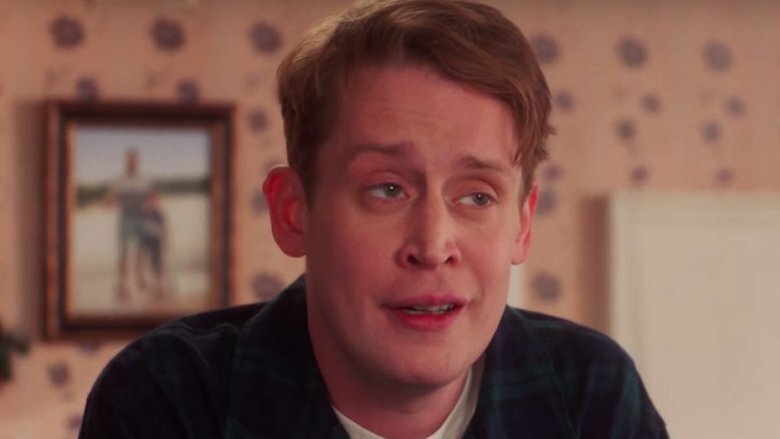 Macaulay remembers thinking excitedly about his summer vacations, telling his mother what he dreamed of doing, only to be told that he shouldn't "make any plans" because he "might be working." For Kieran, it was much of the same. In an interview with Backstage, he said that it wasn't until he was an adult that he realized he had the power to decide what to do with his life. "I've been [acting] since I was six, I suddenly, at the age of 20, found myself with a career," he said. "That was terrifying, because I never once decided I wanted to do this."